Should we care how crops are grown *before* food insecurity spreads? 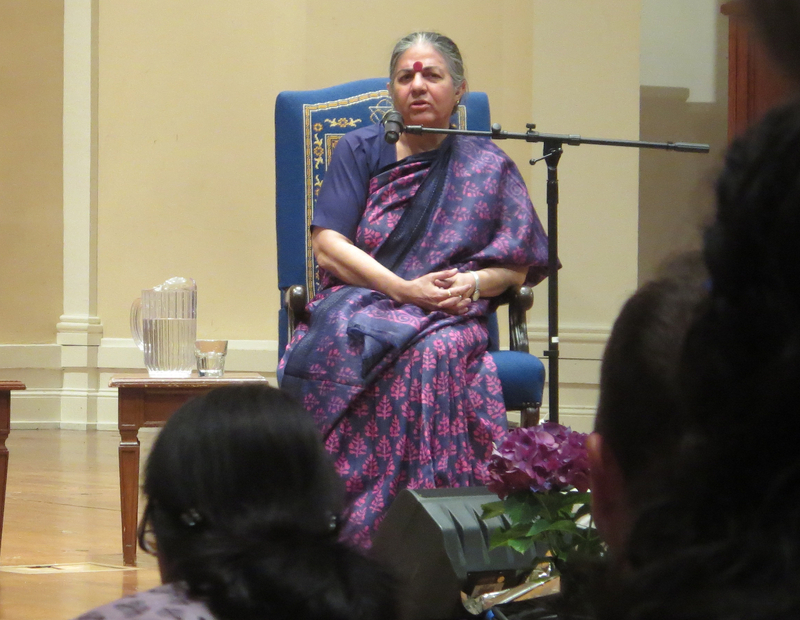 Vandana Shiva, trained as a physicist and known worldwide as an analyst, activist, and advocate for biodiversity, organic farming, and fair trade, added an anthology earlier this year to her long list of published titles: Seed Sovereignty, Food Security: Women in the Vanguard of the Fight Against GMOs and Corporate Agriculture. The gist of Shiva’s anthology: thirty authors from around the globe describe their respective parts in and perspectives on a worldwide movement in which millions of smallholder farmers are fighting to regain or retain the right to practice seed-saving, as they and their ancestors have done for thousands of years -- since humans began to cultivate food. In the early 1960s, while the PVR was being created, farmers could still preserve their right to sow seeds stemming from their own crops, or farm-saved seeds. A few years later, however, in 1970, a new UPOV convention considered the use of farm seeds as forgery. In theory, it became illegal to save and resow your own seeds. Fortunately, good sense prevailed and farm-saved seeds remained “farmer privilege.” In 1991, the third UPOV convention tried to forbid this [...] Since 1994, according to European legislation, farm-saved seeds are authorized for twenty-one varieties [...] upon payment of a tax. For remaining species, every farmer who planted seeds stemming from past crops could be accused of forgery [...] -- a progressive privation of farmers’ rights. A report prepared for the United Nations Environment Program (UNEP) states that although about seven thousand species of plants have been used as human food in the past, urbanization and marketing have drastically reduced this number—only 150 crops are now commercially important, and rice, wheat, and maize alone now account for 60 percent of the world’s food supply. The genetic diversity within each crop has also been eroding fast; for example, only nine varieties account for 50 percent of the wheat produced in the United States, and the number of varieties of rice in Sri Lanka has dropped from two thousand to less than a hundred. Food sovereignty in Latin America and the world does not just express a demand associated with nutrition and food production, as might be suggested by the concept of food security coined by national governments and the United Nations Food and Agriculture Organization (FAO). Rather, it embodies a serious cultural, social, and political dispute for access to the earth, water, seeds, and land and, in turn, to the forests, mountains, and water basins, which allow for the reproduction of life and the sustenance of all living beings, including humans. For this reason, food sovereignty and the movement for the protection of seeds as common goods, and as world heritage, includes the right of peoples to self-determination—to decide how to distribute and manage, from this day on, the water and the land that is sown and harvested and provides food—in other words, how to organize and maintain the food chain, which allows the subsistence of human beings, just as that of other species, but also the maintenance of knowledge, community, identity, and culture. The first step is losing naive consciousness, no longer accepting what you see as something that cannot be changed. The second is reaching the awareness that you won’t get anywhere unless you work together. This shift in consciousness, once you get it, is like riding a bike, no one can take it away from you. So you forget how to say “Yes, sir” and learn to say “I think that …” This is when the citizen is born. One current of the anthology’s essays describe how GMOs -- genetically modified organisms -- further extend a shift toward corporate control of once-independent farmers and once-diverse varieties of food crops. This shift began with seed hybridization, a farming technique in which farmers plant and harvest the vigorous offspring of crossbred lines of a food crop. Importantly, crops grown from the harvested seeds of hybrids decline precipitously in vigor and productivity. This requires farmers who have been beguiled, convinced, or coerced to plant hybrid seed to purchase new breeding stock (seeds) in subsequent years, instead of saving, trading, and/or crossbreeding a portion of harvested crops for future seasons’ planting. Having lost control of a heretofore renewable means of production, these farmers become indentured to suppliers of agribusiness seed, purveyors of inputs required to maximize hybrid yields (generally owned by complementary branches of an agribusiness conglomerate), and banks that extend credit against future harvests. The door to patents on seed and patents on life was opened by genetic engineering -- by adding one new gene to the cell of a plant, corporations claimed that they had “invented” and created the seed, that the plant and all future seeds have now become their property. The claim to invention is a myth because genetic engineering does not create a plant or an organism; it is merely a tool to transfer genes across species. Living organisms are self-organizing, self-replicating systems. They make themselves. [...] Just as a mover of furniture is not the make or owner of the house to which the furniture is moved, the GMO industry is merely the mover of genes from one organism to another, not the creator or inventor of the organism, including seeds and plants. Through the false claim of “invention” and creation, the GMO industry is appropriating millions of years of nature’s evolution, and thousands of years of farmers’ breeding. As an alternative to economic globalization and business integration, social movements and public interest citizen networks have proposed a Hemispheric People’s Integration, based on grassroots cooperation and people’s alternatives, and on seven principles: (1) the promotion and defense of expanded social, environmental, economic, cultural, and political rights, and of collective human rights; (2) the protection and sustainable use of nature and ecosystems as common property for the reproduction of life (water, seeds, energy, land, and biodiversity), and the conservation of immaterial goods of the cultural and historical inheritance of communities and peoples; (3) the integrated management of natural resources and territories by human society, but under the recognition and respect of the complexity of living systems and the interdependence of species; (4) the sovereignty of communities and peoples over territory and common heritage, that is, the right to decide freely and independently how to live, and to the organization, production, and use of natural heritage without the availability of, or access to, said heritage being affected for current or future generations; (5) the reciprocal and complementary nature of relationships and exchange of knowledge, goods, products, and services as an alternative to unequal competition, the ownership of resources, and the accumulation of capital; (6) the independence and self-determination of peoples, freely and from the perspective of their own land and culture, to decide on political orientations, rules, and regulations, and institutions for their coexistence and economy; as well as women’s sovereignty over their own lives and bodies, and the right to live free of violence, oppression, or coercion; (7) living democracy and active participation as an alternative to democracy being restricted to electoral participation, economic administration, and the imposition of “state” priorities over and above people’s rights. An ambitious program, echoed in the programs envisioned by of other contributors to Vandana Shiva’s anthology, whose lives and goals are rooted in a breathtaking diversity of cultures, climates, and nations. It’s worth noting that the visions articulated in Seed Sovereignty, Food Security are no more or less ambitious than Pope Francis’s program laid out in his encyclical on the environment, Laudato Si': On Care for our Common Home, published in May 2015 … and present an equivalent moral imperative to humankind, human society, and human culture. Clearly, there’s work to be done. 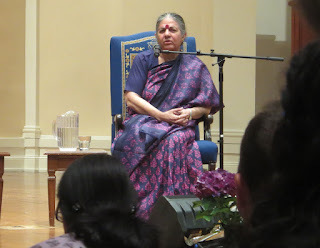 Vandana Shiva is pictured at the First Congregational Church in Berkeley, California, on 27 April 2016, delivering a talk about the global food system. Shiva signed copies of her anthology, Seed Sovereignty, Food Security, after the talk. There's always been a place for apocalyptic tales in fiction and film ... from the Book of Revelations and Paradise Lost, to Mad Max and The Hunger Games. But an apocalyptic story set in an it-ain't-fantasy present—one that foregoes speculation, magic, and hyperbole—still gives me pause. Are readers really drawn to hopelessness fueled by authentic, looming calamity? What drives a skilled and visionary author to craft a novel in this vein? Zeno Hintermeier, the protagonist of Ilija Trojanow’s The Lamentations of Zeno, compels questions like these. Zeno is a misanthrope’s misanthrope. Though his despair is no formula for winning friends or influencing others, he has come to gruff and despairing misanthropy honestly, by way of a loss that crushes hope of redemption. A German glaciologist, Zeno has lived to witness the death of the alpine glacier to which he devoted his scientific career. He loved “his” glacier. He lived for it, for charting its cold, its depth, its growth, its ablation. Yet the world’s rapid warming, brought on by humankind’s recklessly gluttonous appetites, has killed it. 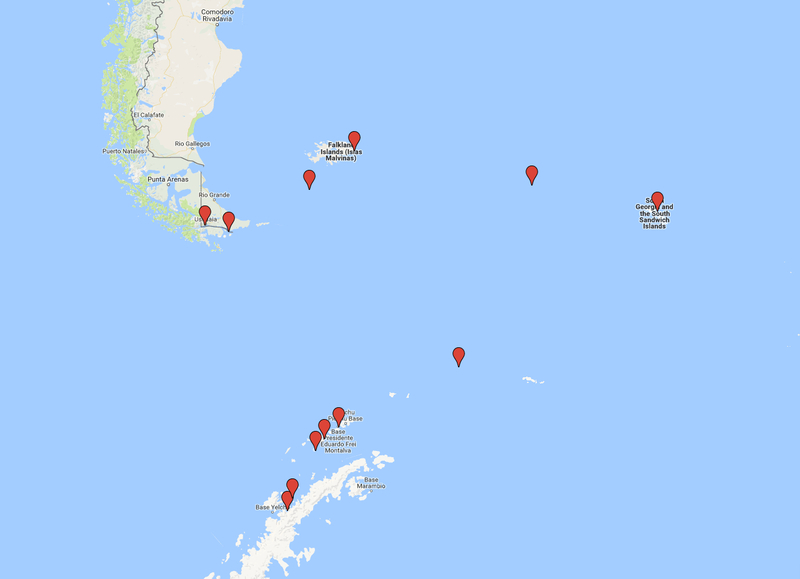 Undone by his loss, Zeno divorces his wife, abandons his university post, and signs onto an Antarctic cruise ship, the Hansen, as an expert guide. Well into his sixties, Zeno flees south to narrate the death of a continent for wealthy seniors who seek cocooned adventure, an edge-of-the-world voyage with a righteous frisson of environmentalist penance ... but no skimping on the creature comforts. The author and his protagonist don’t think much of the Hansen’s passengers. 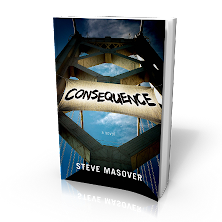 Set off by a section break composed of dot-and-dash Morse Code notation for the international distress signal, each chapter closes with a pile up of conversational shards, as if the reader is eavesdropping on flippant chatter Zeno hears as he passes through the cruise ship’s crowded bar, a dozen fragments of conversation at once. The effect is disorienting. To a reader who has developed even the least empathy for Trojanow’s protagonist, this oblivious refrain is grating or worse. Psychologists have been warning for years that people bombarded with dire descriptions about global warming tend to be repelled, not convinced or engaged. On the other hand, the facts about what climate change has done, is doing, and will do to the only planet we’ve got are … well, they’re dire. As an environmental activist, I identify strongly with Zeno’s despair. Yet Trojanow’s novel, honest and vivid as it is, no matter that it is leavened with richly ironic gallows humor, is not the kind of story that will wake and activate the masses. She looks at me confused, her fingers dig into the back of my hand, she presses her thumb so hard into the flesh below my thumb it hurts. There aren't many boundaries that art can't cross: a tale of abject despair isn't even close to taboo. In fact, though I'm probably an outlier, I found The Lamentations of Zeno cathartic. Despair happens, and it often happens because life is desperate. Portraying that truth—head on, vividly, without flinching, without collapsing into mawkish, trivializing sentimentality at the end of a harrowing tale—is in itself an artistic achievement. 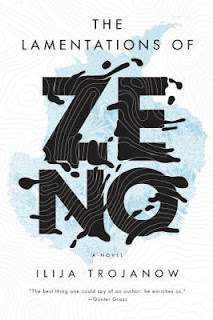 And Zeno’s story is told masterfully. Trojanow’s prose is spare, evocative, pointed, and wry. I’m drawn to fiction that grapples with our damaged 21st century world and our deeply compromised place in it with some measure of grit. When I consider how to rally myself and others to live and act honorably in an era dominated by anthropogenic crises, it's clear that a path forward—determination, at least, if hope would strike too false a note—has to be woven into a narrative I would want to read or write. I'm not prepared to abandon hope, without struggling to right what can still be righted. Not in life, and not in literature. This post was originally published on Medium. Thanks to Google Maps for the rendering of Trojanow's lat-long chapter titles.